Local Press have been backing Banks Renewables and their innovative plans to commit a share of its contacts to local companies in South Lanarkshire. Banks Renewables proposed plans are set to sustain and create job opportunities and put money into the local economy. This local involvement has seen a large amount of support. East Kilbride newspaper were quick to feature the story in a full page spread which included a feature picture taken from a photo shoot organised by our Edinburgh PR agency. 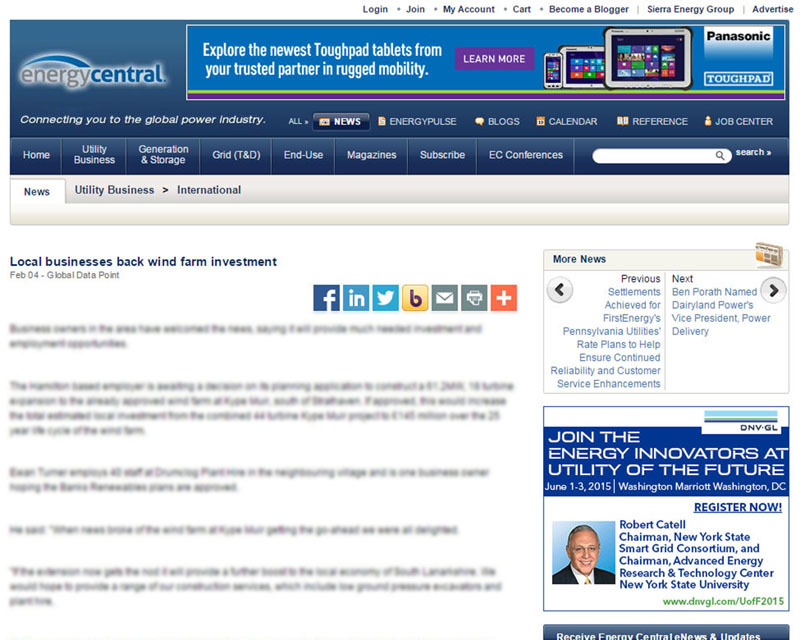 It was also featured on Energy Central, a platform for electric power professionals. To find out more on Banks‘ local triumph, click here for original press release.